I recently traveled to Tulum, Mexico, which was the first time I had been in years. I was so looking forward to relaxing on the white sands, soaking in the warm sunshine, and swimming int turquoise water. We got that for our first hour there... and then a tropical storm swept in that basically confined us to our hotel for nearly the entire trip, getting progressively worse each day. Needless to say, it was disappointing but sometimes that happens with travel! When traveling, expect the unexpected and go with the flow, trying not to stress too much. 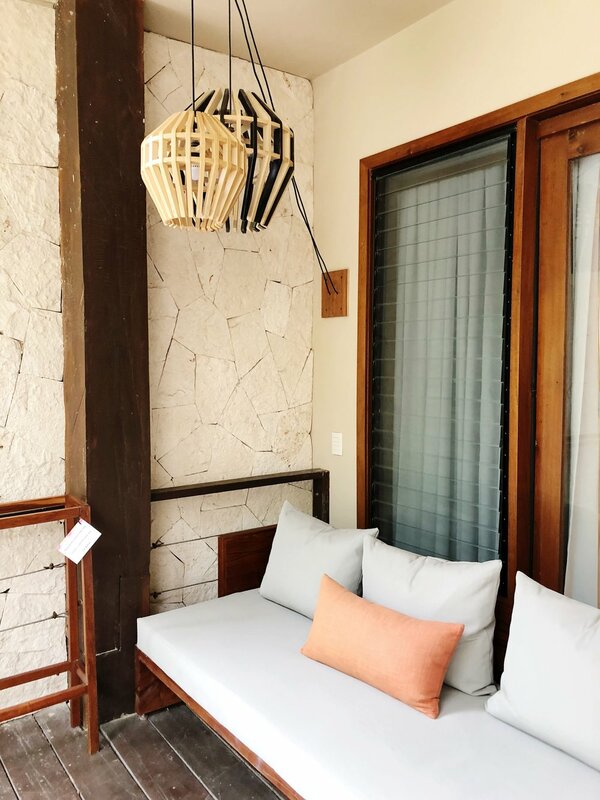 We tried to make the best of our trip by venturing out when the rain would temporarily let up to explore Tulum, as well as enjoy our beautiful hotel, La Zebra. 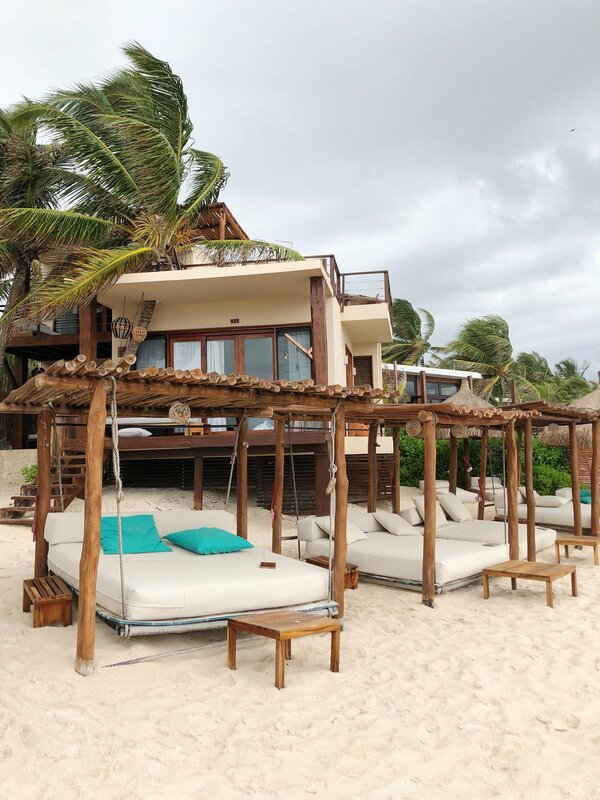 Below are some of my tips and recommendations for Tulum! 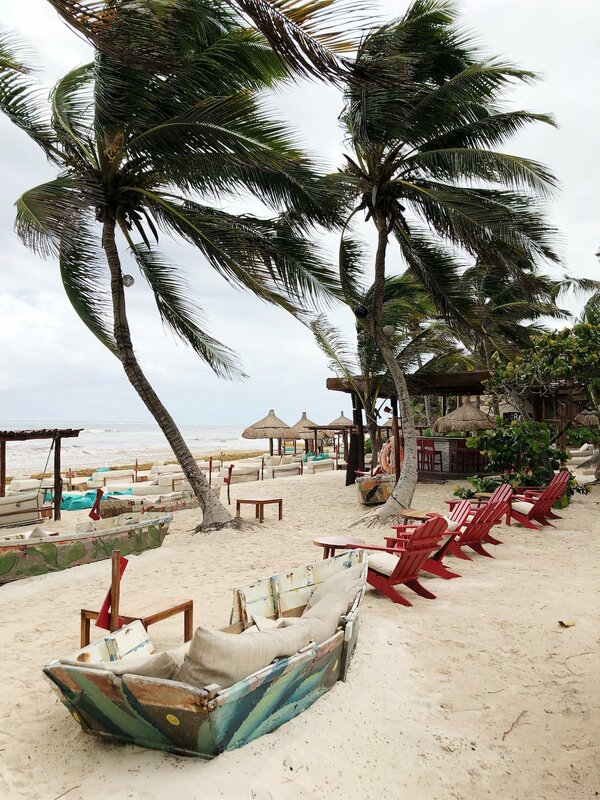 Tulum is best described as boho beach chic. It's stylish, laidback, and home to a very creative design community; it's easy to see why it has become such a hot destination. Situated between a lush jungle and sparkling turquoise sea, it is the perfect place to relax without mega resorts, nightclubs, or pubs. 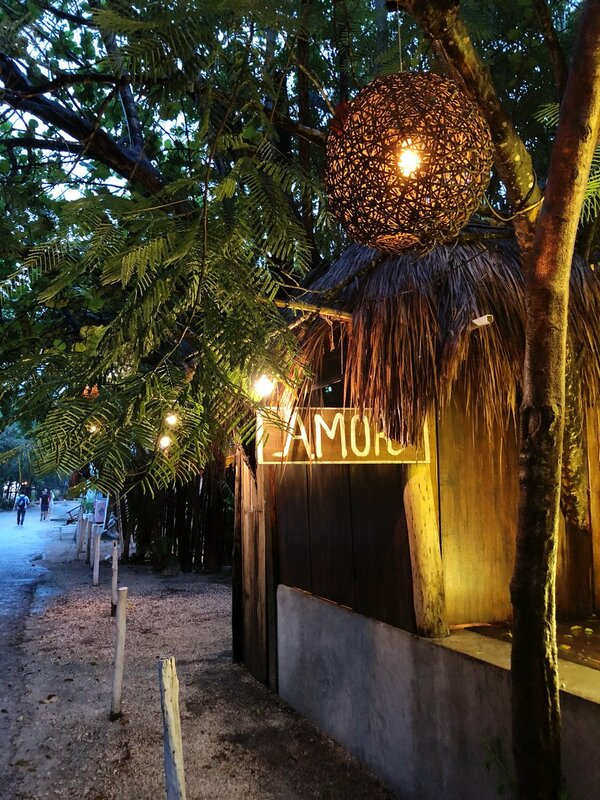 Along the Tulum Beach Road, you'll find beautiful independent shops selling artisan goods like home furnishings, art, clothing, and jewelry, along with many yoga studios, juice bars, and fabulous restaurants. The hotels are small and tucked away, blending into their surroundings without interfering with the natural environment. There is a mix of local people and expats from Europe and Scandinavia living and working in Tulum, who were incredibly friendly and helpful. The food is excellent with many of the restaurants using local ingredients, so it's hard to go wrong with wherever you pick to eat. The shopping is also great but very very expensive. 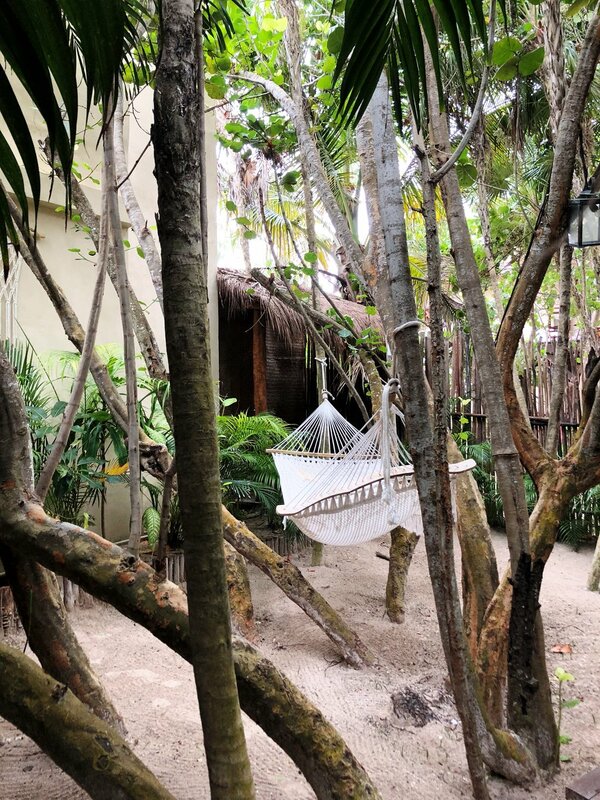 The 'main' town of Tulum is a few minutes drive away. Also nearby are beautiful Mayan ruins from the 13th century which overlook the sea at the Tulum National Park. Tulum is very humid (nearly or at 100% humidity!) with lots of mosquitoes around so remember to bring bug repellent. Also remember to not drink the water or brush your teeth with it; use the purified water / bottled water at your hotel. It is fine to shower in it though. 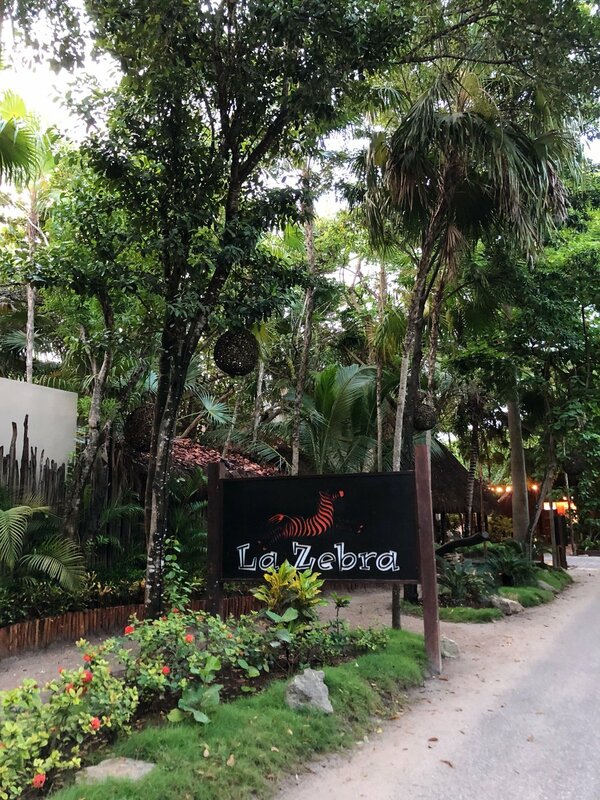 We stayed at the beautiful boutique hotel, La Zebra Tulum, which is also part of the exclusive Small Luxury Hotels Group. 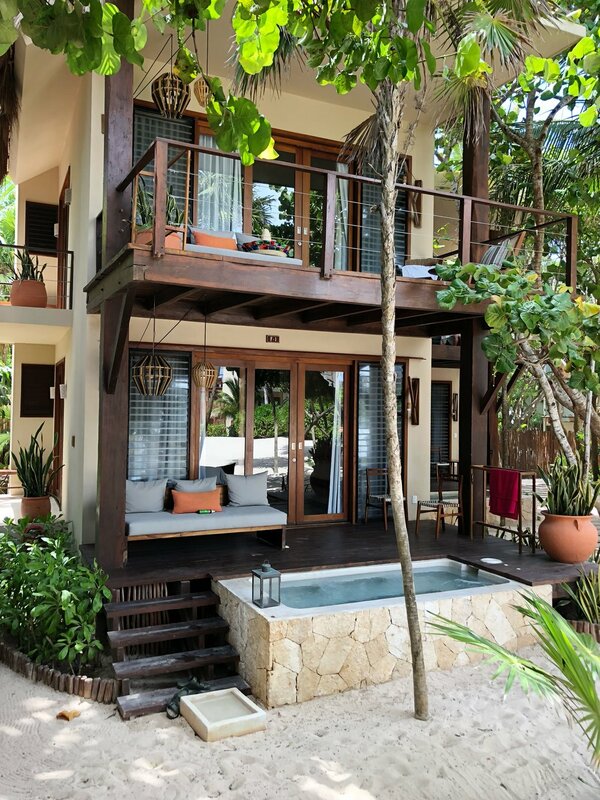 This stunning hotel is nestled between the Tulum jungle and the turquoise sea. 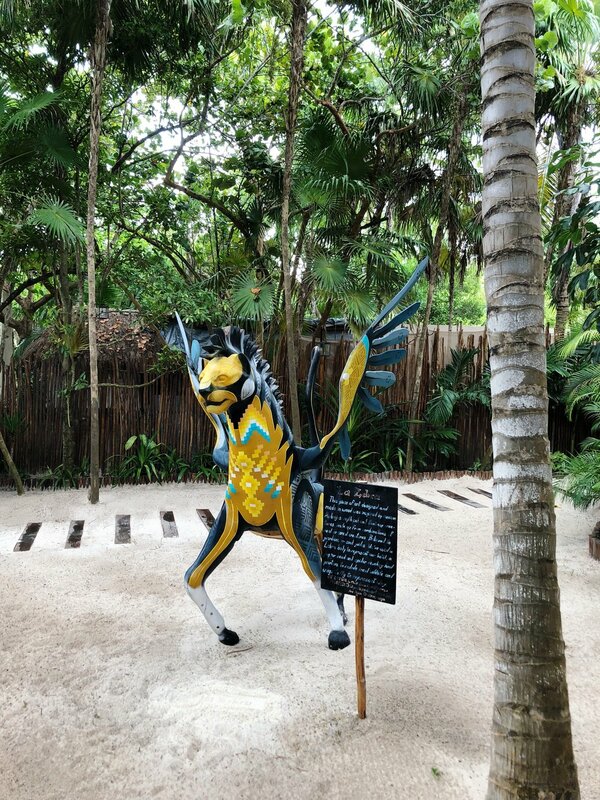 La Zebra got its name from a ship from Africa carrying seeds, spices, and animals, which was shipwrecked off the coast of Quintana Roo. While few survivors made it to shore, the ones who did watched a zebra swim ashore and run into the jungle. La Zebra's design blends into its environment so it isn't jarring or obtrusive like other resort areas. 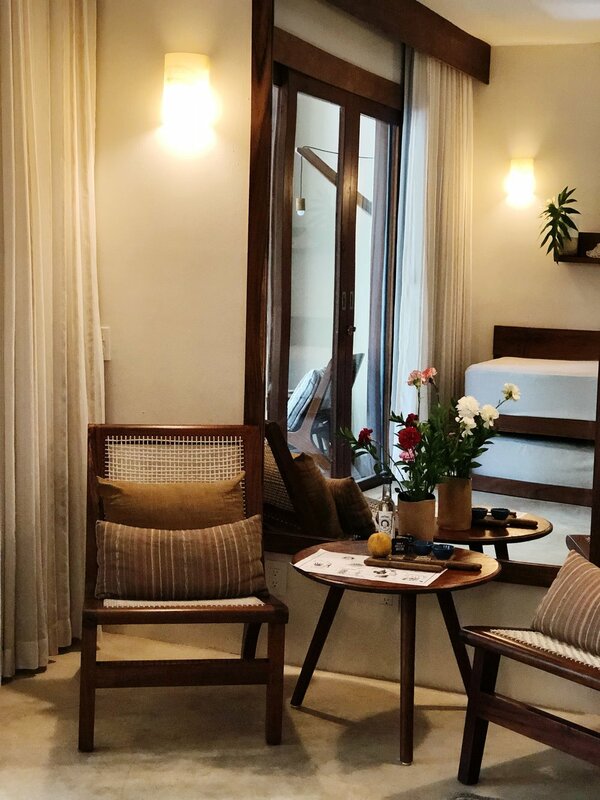 It is small and intimate with 29 beautiful rooms designed in a boho chic style. The welcome at check-in was one of the best I have experienced anywhere. It was warm and friendly, they provided us with lots of detail about the hotel and surrounding area, provided us with a delicious welcome drink (we chose margaritas, of course! ), and a tour of the property and our room. All of the hotel staff from the front desk to restaurant to spa were incredibly friendly and helpful. Fantastic service like this is one of the best features of luxury. Our room had a 'jungle' view and located above the spa. It was spacious, comfortable, and homey. We had an enormous king size bed with plush white linens to sleep in. There was a day bed sofa that you could hang out on during the day and use to sleep on if you wanted at night, as well as another slide out bed/mattress tucked underneath for another guest. Fresh flowers were brought to our room each day. Thank goodness for the powerful air conditioning in our room that we could easily adjust as the 100% humidity outside was unbearable. 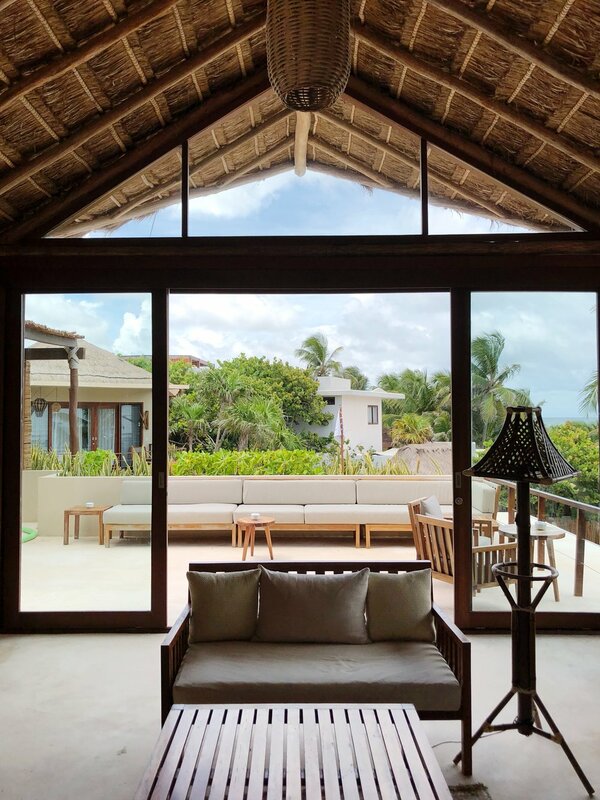 There is no television in the room (or on the property) so you can disconnect. Free wifi is provided; however, it can be patchy and slow. There is a large shower 'room' with two shower heads in the bathroom. The downside was that the shower would only to get a lukewarm temperature at most. There are twin sinks along with a variety of beautifully-scented, locally-made organic toiletries. We had a large terrace with lovely outdoor sofas and furnishings to enjoy. During the thunderstorms that rolled through, it was so relaxing to lounge on the terrace and watch the storms. The attention to detail at La Zebra is outstanding, particularly with design and service touches. 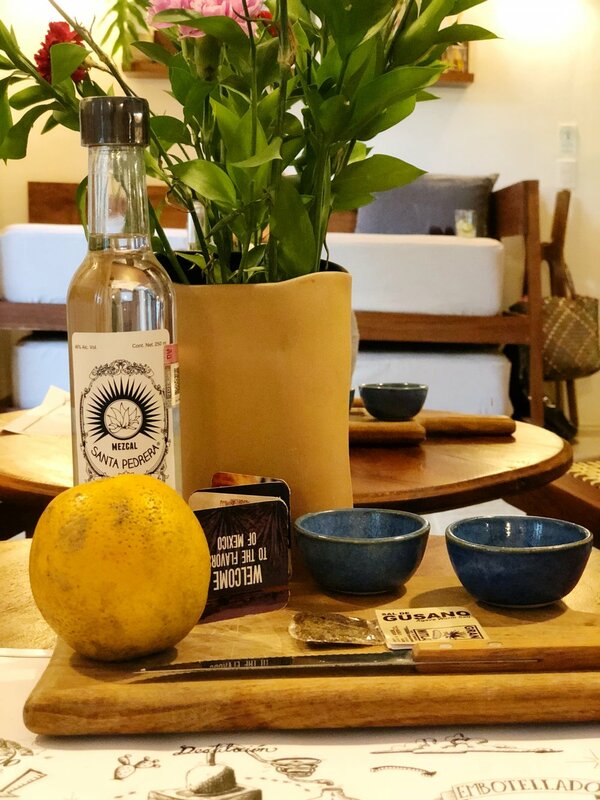 A complimentary bottle of mezcal and fixings was provided to enjoy, as well as jars of Mexican sweets refreshed daily in jars bedside. Nespresso coffee is available, as well as an artisan make-your-own 'pour-over' coffee maker. Fresh beach towels are provided each day to bring to the beach with you in the lovely beach bag also provided. Check inside your closet and you will find some fun, bright beach wraps to wear as well! 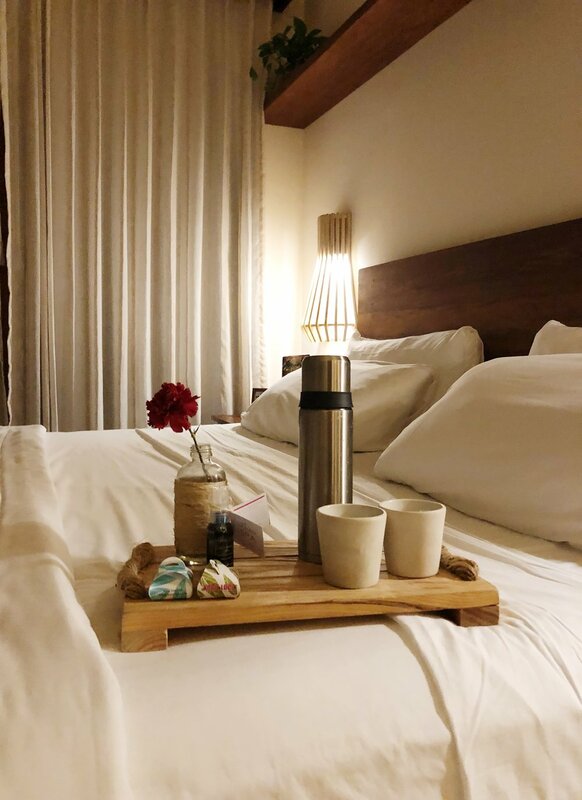 Turndown service was provided on the first night where a lovely thermos of calming tea was left with some handmade local chocolates and an organic face spray meant to help you have a good night's sleep. La Zebra's restaurant is terrific whether you are a guest at the hotel or not. Start your day with their delicious breakfast; the fluffy and flavourful pancakes were my favourite! Everything is presented beautifully and the service is friendly and attentive. The menus are a fresh and modern take on Mexican dishes featuring ingredients sourced both locally and from around Mexico. If you're a big foodie or looking for a special dinner, book the Chef's Table, where Chef Eleazar Bonilla will indulge you with his eight course tasting menu. Enjoy unique, exciting, and fun cocktails expertly mixed from professional mixologists. There is a focus on fresh and local ingredients, such as fruit and herbs. The cocktails are inventive and dangerously tasty. You'll want to try everything! We were treated to a complimentary 15 minute foot massage as a welcome treat at the spa when we checked in. This was one of my favourite things to experience and such a wonderful and luxurious detail! After enjoying the foot massage, I booked a massage and facial, both of which were pure bliss. The therapists were so warm and lovely. 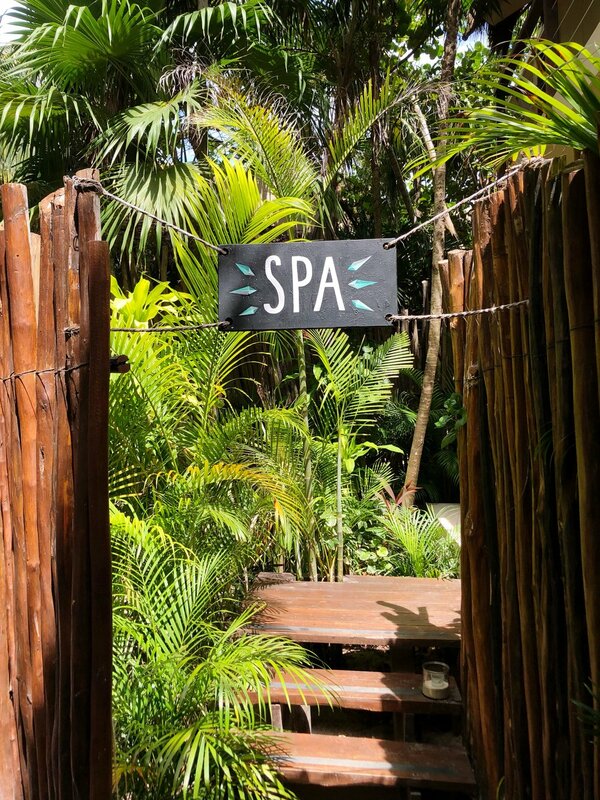 Available treatments in the tiny but beautiful spa include facials, massages, and body treatments. This is one of the coolest features I've ever seen at a hotel! When you enter this billowy canvass tent, relax and have a snooze in one of the two colourful, striped hammocks inside. 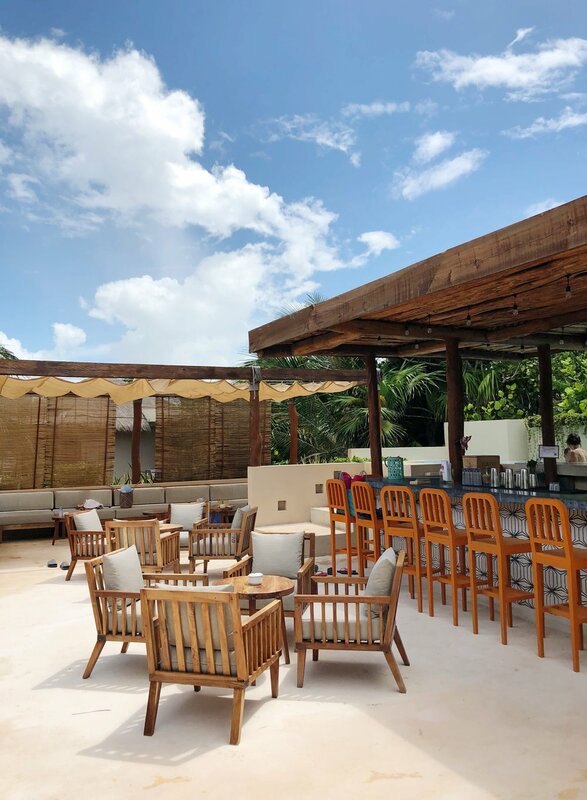 Tulum is brimming with great places to eat and drink. There are lots of healthy options to choose from, including many vegan options and juice bars. 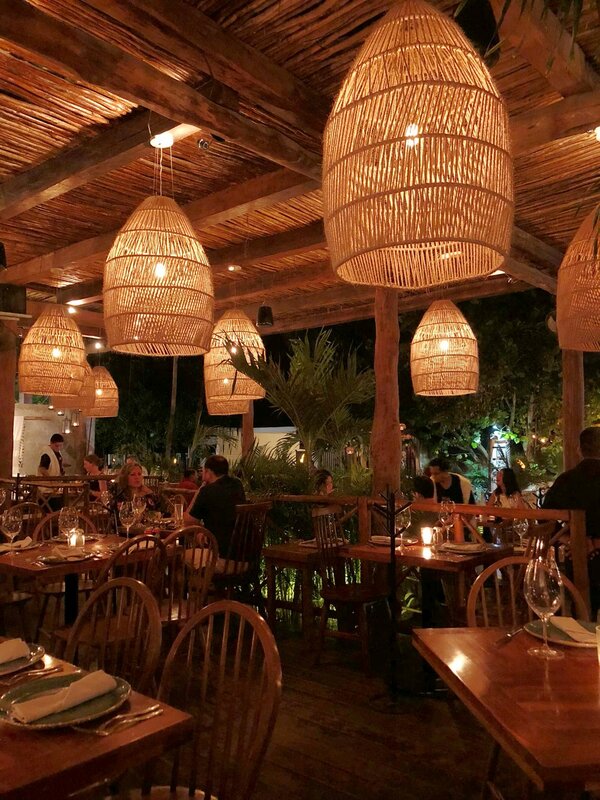 La Zebra Restaurant: Fantastic menu options featuring Mexican dishes with fresh local ingredients. The tacos and enchiladas are terrific in particular, and the margaritas outstanding. The service is also friendly and welcoming. Rosa Negra: This chic and stylish restaurant elevates service to new levels. You are well taken care of from the moment you enter the restaurant. The menu features Latin American cuisine from Peru, Argentina, Colombia, Brazil, and Mexico. If you fancy seafood, they will bring over a giant platter and describe everything on offer for the day. The cocktails are creative and tasty, and the food is absolutely delicious. You will definitely not leave hungry! This is a great restaurant to go if you're looking for something stylish and bit more upscale. Casa Jaguar: This restaurant is almost entirely outdoors and set into the jungle, making it feel very exotic. 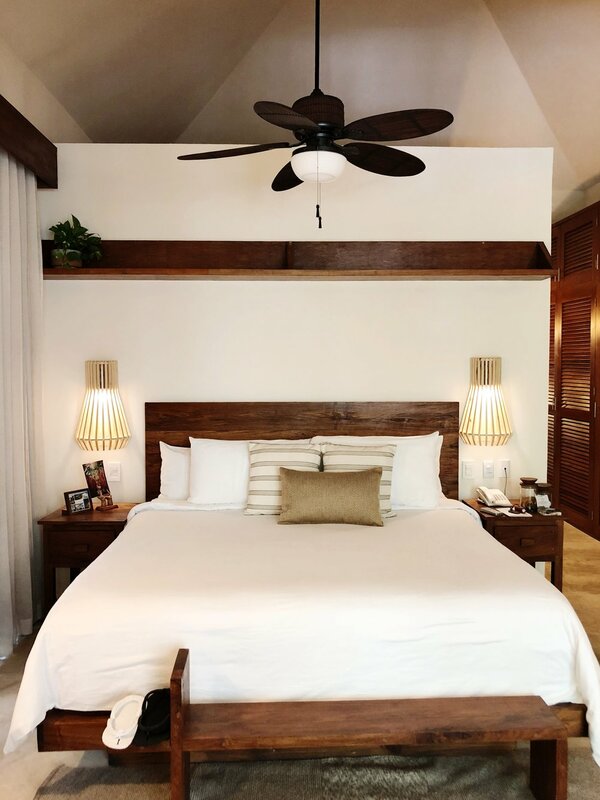 It is rustic and candlelit, giving it a very cool vibe along with the burning palo santo swirling around your feet and great music softly playing in the background. The service isn't the quickest but the cocktails are fantastic. The menu features ceviches, salads, and wood-fired meat and vegetables. You can stop in just for drinks or stay for a meal. 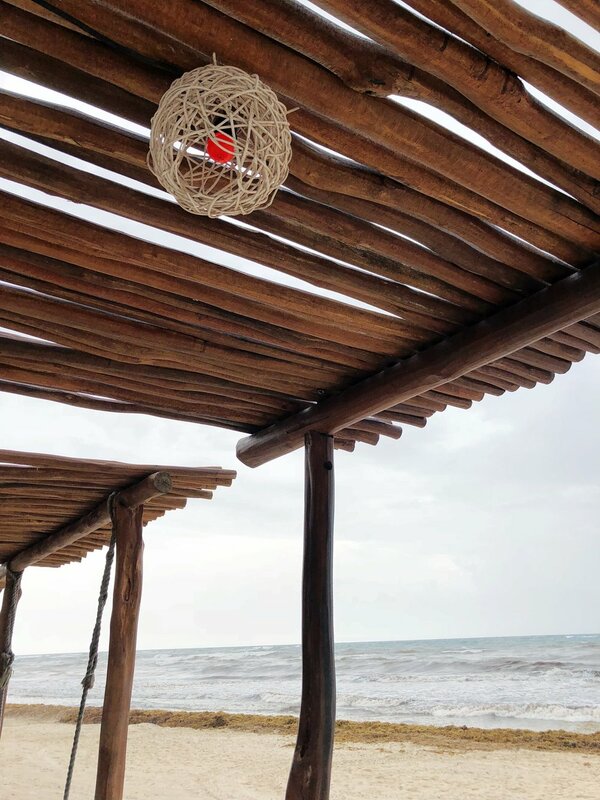 This is a perfect date / romantic spot to go while in Tulum. Casa Jaguar is on the pricier side. 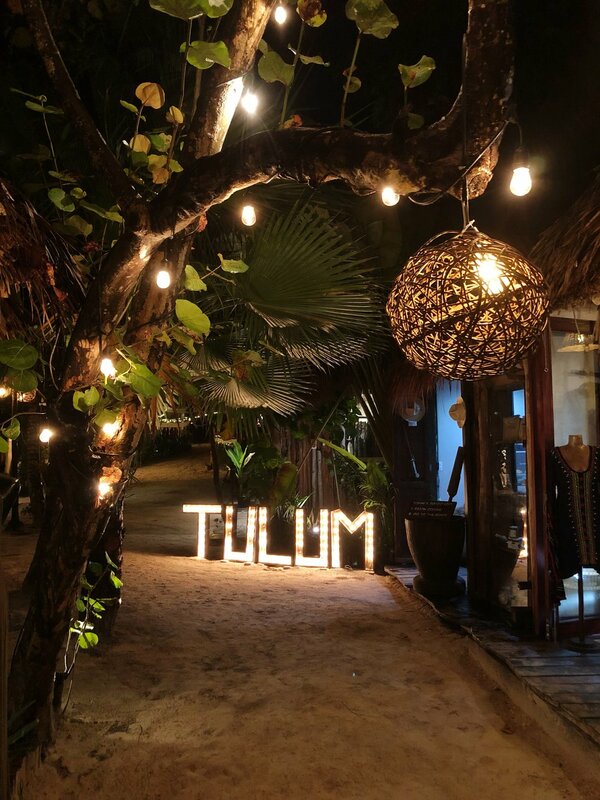 Tulum is a creative haven with many independent designers selling beautiful, unique clothing, jewelry, sandals, dreamcatchers, traditional art and crafts, and other home furnishings and textiles in boutiques dotting the beach road. 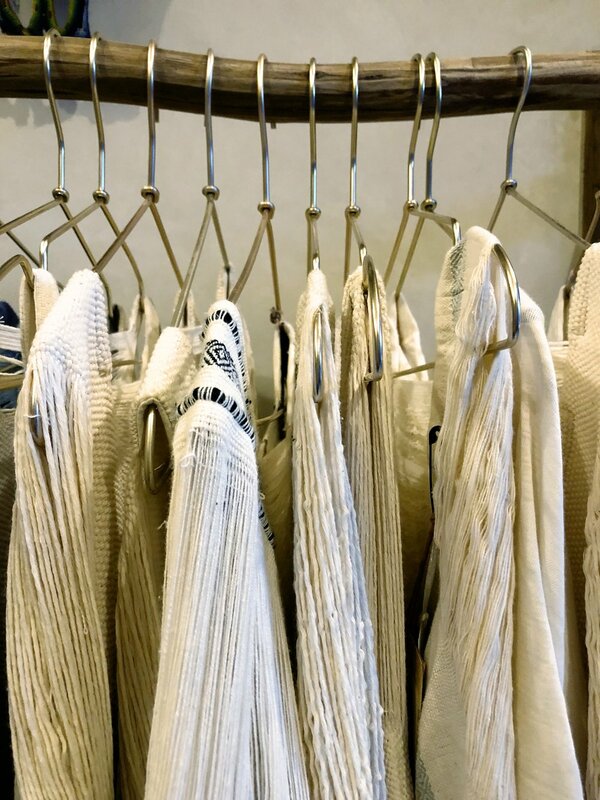 This is a great place to find unique pieces that have either been locally made and/or with local materials. The shops also stay open quite late so you can enjoy the beach all day, have some dinner and then do some late evening shopping when the temperature is more comfortable. However, while the shopping is great, it is quite expensive overall. Don't forget to look down the little nooks on the streets as there are small arcades of multiple shops that you can't always see right on the main road. Some of my favourites include Hoki Poki Kana, Josa Tulum, Bendito Tulum, Bliss Boutique, Mr Blackbird, and La Troupe. The closest airport to Tulum is Cancun Airport. 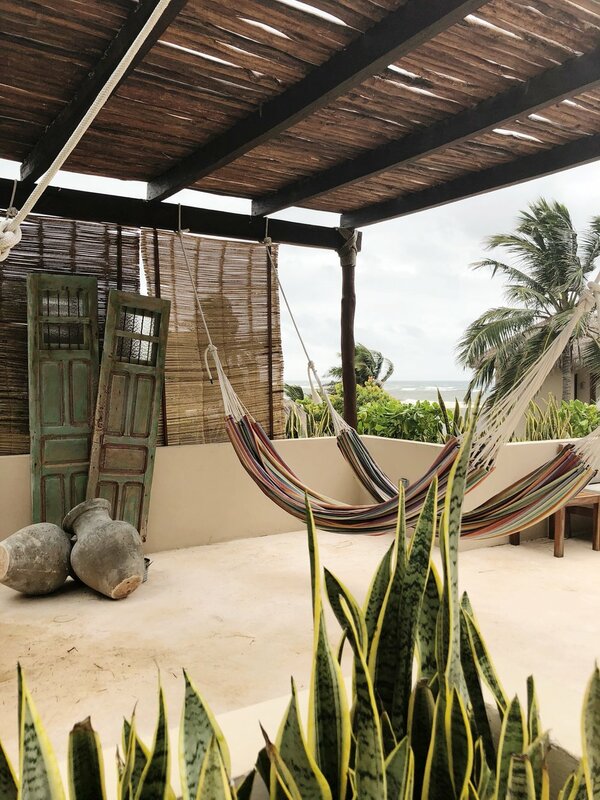 From there, you have various options to drive to Tulum including public transport/bus, hotel shuttles, rent a car, or take a taxi. By car, the journey will take approximately 90 minutes. A taxi will cost you about $110 USD one way (per car). If you want to take a taxi, try and arrange it beforehand with a reputable company and only go with an official taxi company. Beware of the many men who pounce on you as soon as you leave the airport arrivals doors outside asking if you need a taxi. It is very easy to rent a car in the Tulum / Cancun area. We asked our hotel to assist us when we were planning to drive to another part of Mexico, which we found to be very helpful to make sure we were going with a reputable company and avoid any communication issues. The route between Cancun and Tulum is pretty straightforward; however, the drivers are all over the place on the roads so you need to be constantly alert. Bicycles are widely available to rent in Tulum. The advice given to us was to avoid riding them at night as there are no streetlights on the main Tulum Beach Road. It is extremely dark and the road is uneven and filled with potholes, so it can be quite dangerous.